I think ladybugs are fascinating little insects. Here is an interesting fact about ladybugs. Different ladybugs have different numbers of spots. Some have no spots while some have as many as twenty four. This is a 1st grade project to improve cutting and gluing skills. 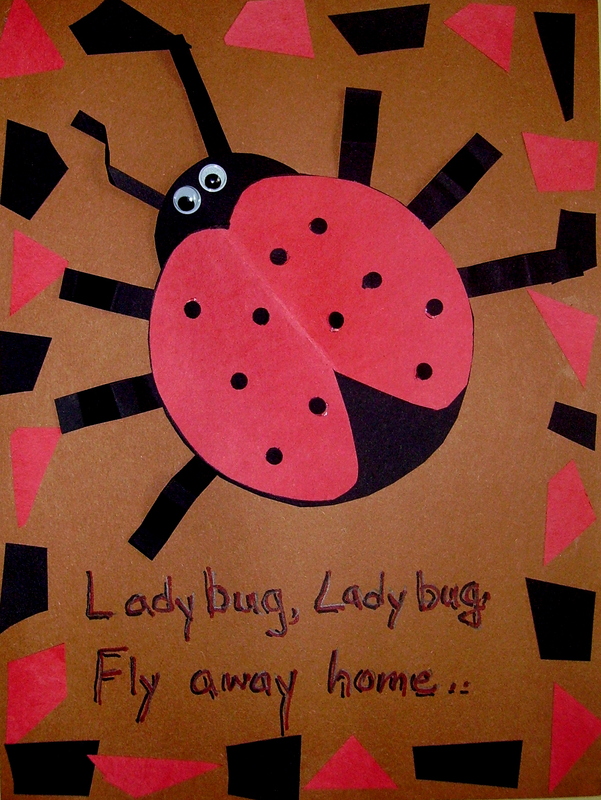 You’ll find the directions for this project, “Ladybug, Ladybug,” under the 1st Grade Projects Gallery in the sidebar. This entry was posted in 1st Grade and tagged 1st grade, art for kids, children arts and crafts, classroom lady bug art, lady bug art, lady bug art for kids, lady bug crafts for kids, ladybugs. Bookmark the permalink.